The growing implementation of Artificial Intelligence by the company is one of the major trend supporting growth of this market in the year to come. The Artificial Intelligence is available in all range and growing value of incorporating this technology into multiple process is being acknowledged by various enterprise across the globe. These are some of the factors supporting growth of this market in the year to come. The growth of HPC in this industry is supporting growth of this market. In addition to this the HPC is also utilized to run data procedure. The HPC also helps in solving engineering equation and this will further drive growth of this market in the near future. 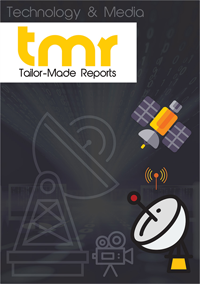 The research report excellent report on the global server rail kit market as it majorly focused on segmentation, competition and market dynamics. The report also provides key guideline for the players to strengthen their market presence across the globe. The increasing deployment of edge computing technology is propelling demand for the global server rail kit market in the coming years. As the edge computing doesn’t have onboard computing power and this make them receive data by using internet. In addition to this, issue related to management of servers is another factors stimulating growth of the global server rail kit market in the upcoming years. Moreover, the growing complexity of data center equipment is a key challenge among the players as they have to safeguard compatibility with the hardware mounted on racks through using rail kits. These are some of the major factor supplementing growth of this market in the near future. Increase in server industry, growing disposable income of the population and increasing demand for modular kitchen are some of the major trends backing growth of the global server rail kit market in the coming years. From the geographical point of view, the U.S. is likely to dominate the server rail kit market, which is further trailed by APAC and EMEA respectively. However, APAC is likely to account for smallest share in the global server rail kit market and this market is likely to register significant growth during the forecast period from 2018 till 2026. This section of the report provides insight on the major players operating in the server rail kit market across the globe. The presence of large and small players operating in the global server rail kit market demonstrates fragmented structure. The global server rail kit market is quite intense due to increasing competitive environment owing to existence of large players in this market. The growing demand for HPC in the enterprise and increasing deployment of edge computing are likely to offer considerable growth opportunities in this market. The key players functioning in this market includes King Slide Works, Vertiv, Rittal, and Super Micro Computer.